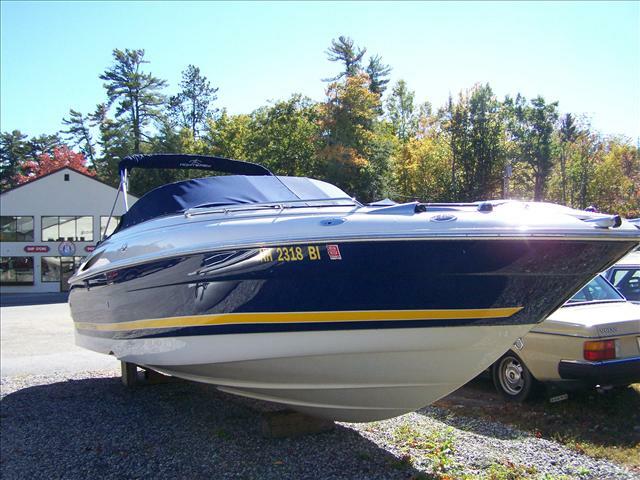 2000 Monterey 200 Edge Equipped with a Volvo engine, this boat has seen many years on beautiful Lake Winnipesaukee. With a new cover to protect it from Mother Nature, this Monterey will handle any weather. 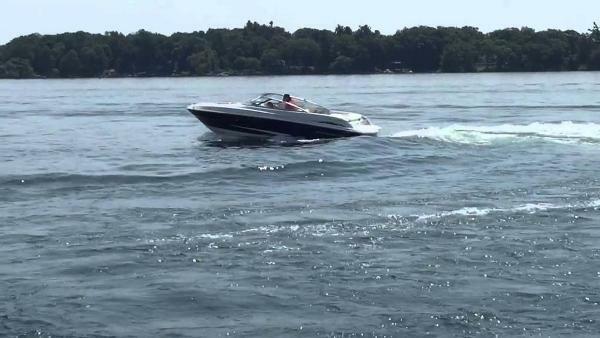 It will also handle most conditions out on the lake. Hopefully she can find her way back to Winnipesaukee to keep up the tradition. Two swivel captain seats help steer this vessel in any direction fit to need. 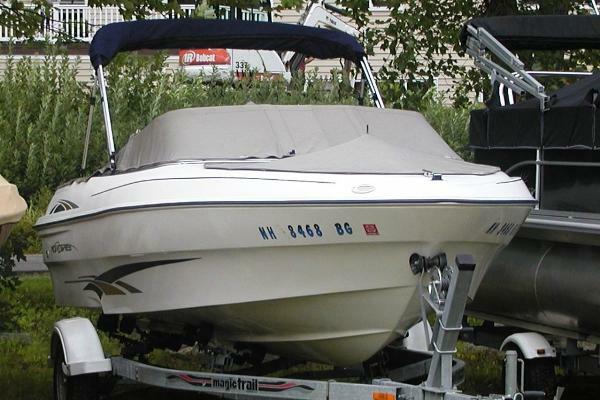 A good all-around boat which for the family or for solo trips. This boat should also not last too long on the market. 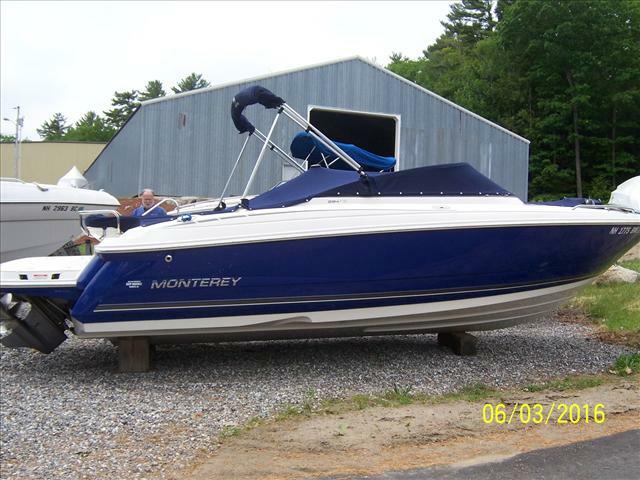 2002 Monterey 268 SS 2002 Monterey 268 SS , This is a fresh water bow rider that has been at Shep Brown's since new! 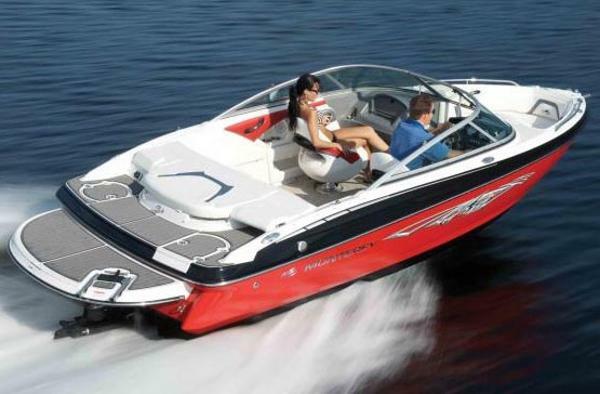 Low 400's for engine hours on this Mercruiser 6.2 MPI, Bravo 3 (320hp). 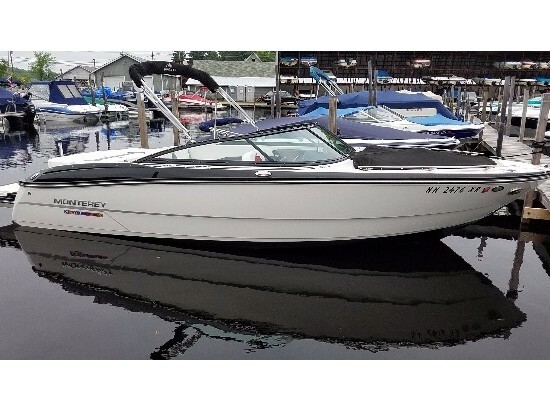 Snap-out carpet, GPS, trim tabs, pump-out head, 2 fresh water sinks, dual batteries w/ switch, docking lights, ext swim platform w/ fold down ladder, bow and cockpit cover, bimini top, stereo, tilt steering wheel, driver and passenger bolster seats, Tons of stowage....GREAT weekend lake boat!! 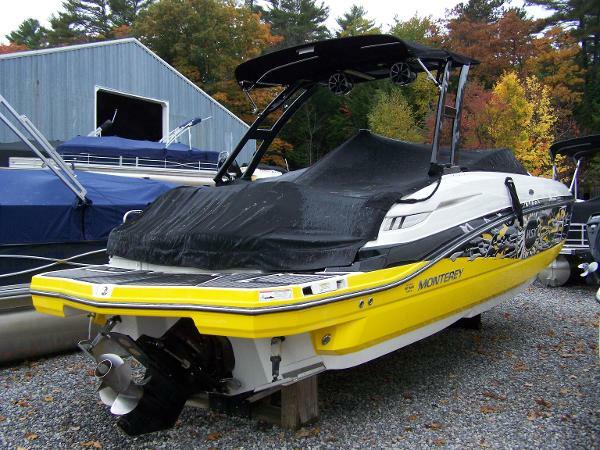 2015 Monterey 238SS, This 238SS has a Mercruiser 350 MAG MPI, Bravo 1. Fresh water use only, Snap-out carpet, stereo, bow & cockpit cover, bimini top, compass, docking lights. *Trailer is NOT included in the sale price! 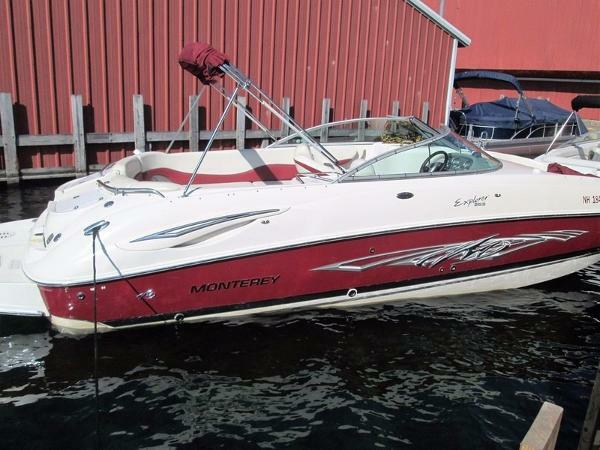 2014 Monterey 235 SS One absolutely beautiful 235SS Monterey, powered with a Mercury 5.0 MPI 260hp motor that rides and performs like a much larger boat. 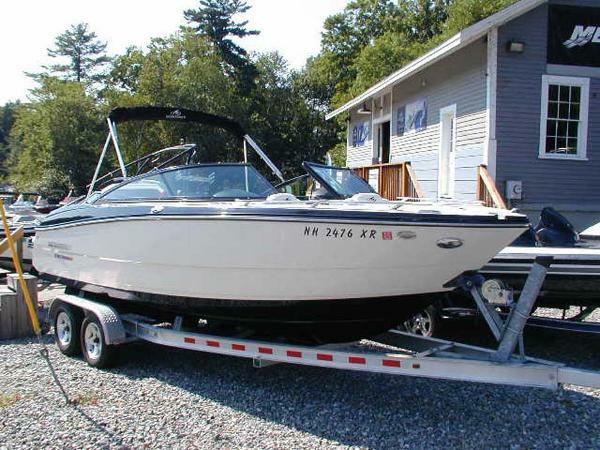 This boat has a walk through transom, sea grass snap in carpet, bimini top, cockpit and bow cover, stereo, filler cushions, cooler, ski pylon, port side lounger seat, back rest on swim pad and lots of storage. 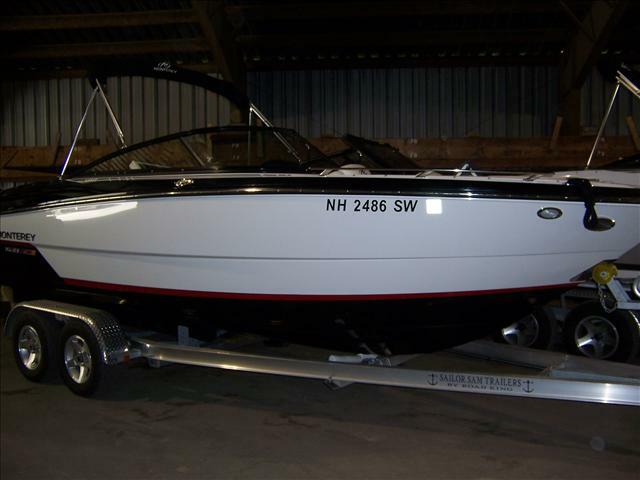 What a great boat at a great price, stop in and see at our Alton Bay location. 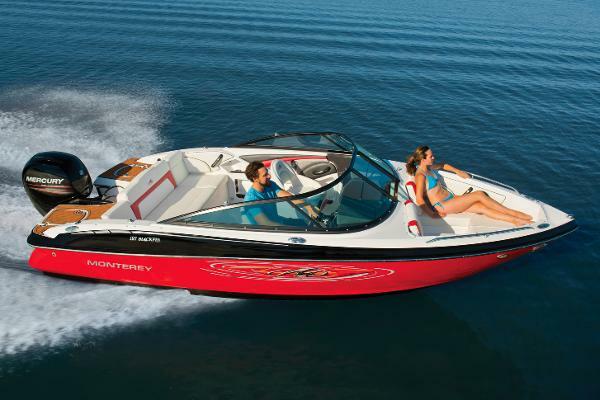 2016 Monterey 204FS Show off the uncompromising performance and elegant style of the 204FS Sport Boat. 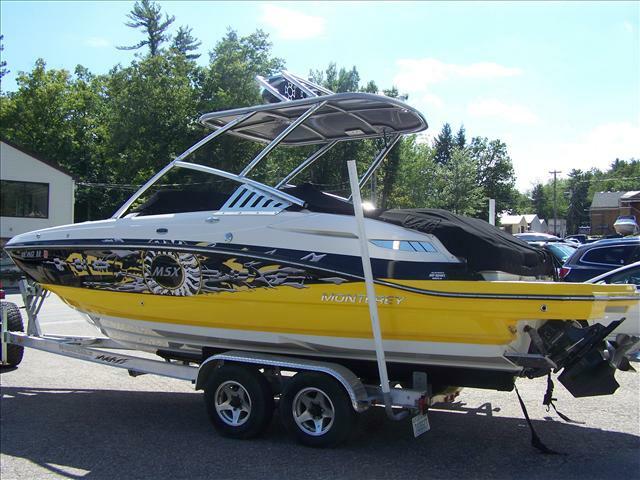 Standard features include stainless steel cup holders, power and tilt steering, extended swim platform with telescoping and recessed swim ladder, integral swim platform with ski rope storage and plenty of bow area seating and storage. 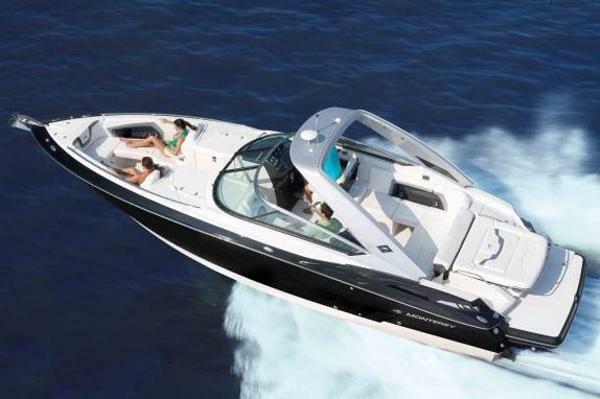 The Facet Series design and handling of the Air Assist Chine combine to make the 204FS a powerful and chic performance machine sure to make those around you envious. 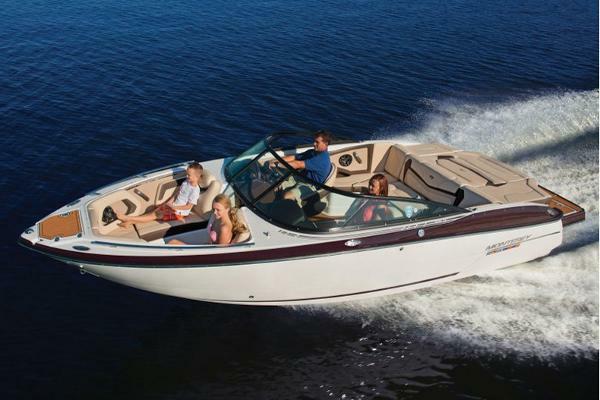 2016 Monterey 197 Blackfin Every Sport Boat model is made with the ultimate durability in mind. Stainless steel cleats, stainless steel bow & stern eyes with stainless steel backing plate, stainless steel rub rail, and stainless steel through hulls are just some of what make our boats stand the test of time.